North is an fully customizable theme, suitable for Agencies and Free Lance which wish to focus on their works with a perfect grid layout. Trough a WordPress Customizer is possible to configure the majority theme’s aspects like the accent color, Google Fonts and many other options. North takes advantage of all WordPress features such as post-formats, page templates, custom widgets and shortcodes; it’s perfect for any use, both business and personal. This entry was posted in Which Open Source Blog on June 30, 2015 by Administrator. JANGO is an ever expanding, fully responsive and multi-purpose HTML frontend template powered with Twitter Bootstrap 3.3.5 Framework. JANGO is incredibly robust and flexible that will easily be able to support every site development such as corporate, portfolio, blogs, product showcases, landing / one-page sites and much more. JANGO was inspired and designed with creative & modern web trends to provide the best, sleek, clean and intuitive user experience within a template. Packaged with a fully responsive design and compatible with all major web browsers and devices, JANGO is truly a template ready to launch upon purchase. 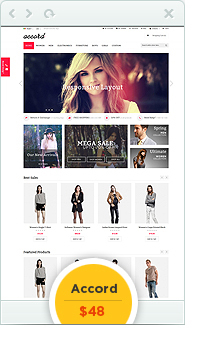 Vento is a professional e-commerce website template coded with HTML5, CSS3 and Bootstrap3.3.1 latest version. 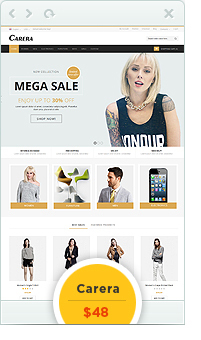 This template suitable for fashion, shopping, clothing, wholesale dresses and similar websites. PSD files & .html documentation to install HTML is included. The PixelFlow is a unique and modern PSD template that is suitable for any type of business. The Flat Style is getting more popular, so show yourself from the best side! The template has an incredibly simple but very impressive layout. If you could rate this template over on ThemeForest. We’d really appreciate it. Cheers! Beautyspa theme is crafted to make a one stop solution for Spa,Salon, beauty center, parlour, massage center. Jaap – Creative Multi-Purpose One Page Template is a responsive, clean and modern designed HTML5 template. Jaap is suitable for all creative people, agency, creative business, company, individual or agencies portfolios. Cured is a Clean & Responsive One Page WP theme built on Bootstrap 3 for Individual Professionals or Digital Agencies. Mobile Touch optimized. Theme contain many tools, integrated with WordPress administration interface to allow easy website building and content management. Thanks to responsive design it is going to look awesome on any device! But that’s not all. We have a dedicated support center for all of your support needs. It includes our Documentation, Community Forum and an advanced Ticket System for any questions you have. We usually get back to you within 14-16 hours. (except holiday seasons which might take longer). 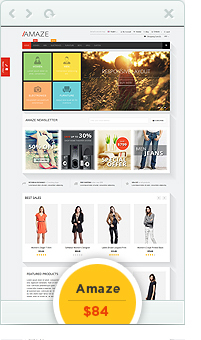 So, If you’re looking for a best Multipurpose VirtueMart 3 Template, than look no further! 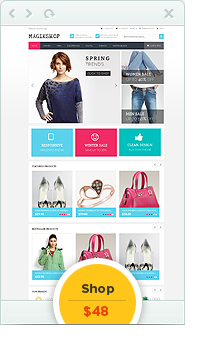 4 styles for 4 stores: Pisces comes with 4 beautiful styles for online shop, that’s easily fits for any kind online shop. 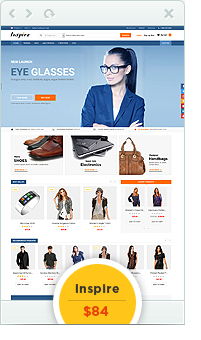 Fully Support VirtueMart 3: Built with the experience of more than 10 years VirtueMart 3 provides you with a powerful and comprehensive eCommerce solution. Pisces is Fully Support it! Multi-Languages: Pisces is also fully support multi-languages. We had already installed 2 languages: English and Hebrew. You also can use one default language to build your website with no time. Virtuemart Product Compare: Brilliant Joomla Component and plugin to show Compare products which user/Customer will choose by click on “Add to Compare” button and these selected product has been show parallel. User can also delete Compare product from Add to Compare Cart. Pisces is fully support this component. VirtueMart Product Wishlist: The Ultimate Component to save your Favorite Products/Wishlist, share them with Family and Friends over Twitter, Facebook, Google+ or Email. Pisces is fully support this component. 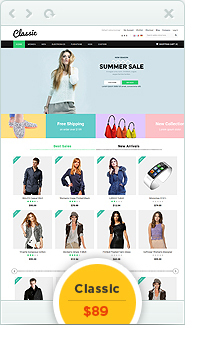 VirtueMart One Page Checkout: Make it super fast for customers to purchase with your store. 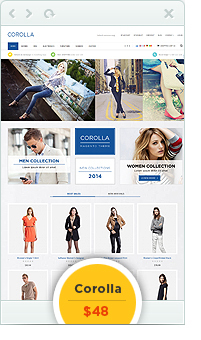 Create special pages where customers can choose products, checkout & pay all on the one page! Pisces is fully support this component. Newsletter Function: AcyMailing is a Joomla component allowing you to maintain real communication with your contacts via e-mail marketing, newsletters, follow-up autoresponders, marketing campaigns, etc. Now Pisces is fully support it. Akeeba Backup: The best component can be used to backup, restore and move your Joomla! Pisces is fully support this component. It save your time to move development website to live site. Page Builder: allows you to easily create advanced custom layouts for any page using your designs. This Content Construction Kit (CCK) provides extend the basic content publishing system and publish all sorts of different content add-ons using the Joomla CMS. 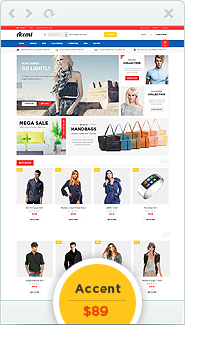 6 Premium Extensions from VinaGecko: Vina Camera Image Slider, Vina Article Carousel, Vina Product Carousel for VirtueMart, Vina Product Ticker for VirtueMart, Vina Manufacturers Carousel for Virtuemart and Vina Treeview for VirtueMart are the popular extensions for Joomla 3.x. Now you can use it in Pisces template. 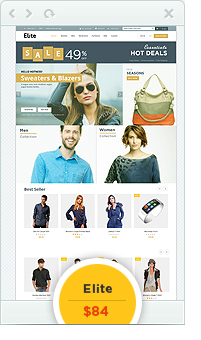 Our template fully support 3 functions: Virtuemart Product Compare, VirtueMart Product Wishlist, VirtueMart One Page Checkout as you can see live demo. However, we don’t include 3 functions to our template package. If you want to use 3 functions, you need purchase it from developer’s website.